Discover the warmth and beauty of Georgia's oldest city from Savannah Marriott Riverfront. 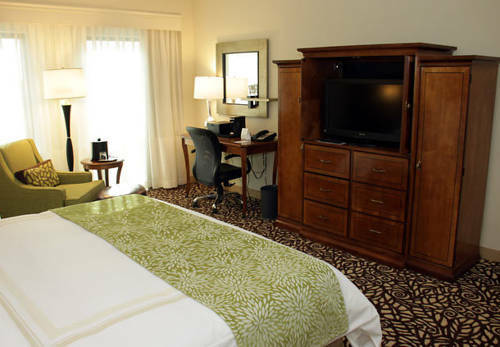 Perfectly located on the waterfront, our newly updated hotel places you in the heart of all Savannah offers. Within our modern hotel, you'll find a host of amenities designed to make your stay with us exceptional. Take in views of the Savannah River, historic sites or our hotel's grounds from our beautifully-appointed rooms and suites. Treat yourself to a massage at our premier day spa, workout in the 24-hour fitness center or go for a swim in our seasonal outdoor pool. Enjoy traditional southern breakfast options at Blue, our delightful restaurant overlooking the riverfront, or enjoy cocktails and a light meal in the bar. If a meeting, conference or social event brings you to our hotel, our contemporary indoor and outdoor venues, custom catering and outstanding service blend to create an impressive setting for any gathering. No matter what brings you here, we look forward to making your visit to Savannah remarkable. Blue, A Savannah Bistro: Begin your day in Savannah with a delicious, freshly prepared breakfast in our riverfront restaurant. Dine on your favorite morning selections while taking in views of the vast Savannah River just outside our cheerful caf . Atrium Bar: Unwind with cocktails after a busy day of meetings or touring River Street and historic Savannah, Georgia. Relax with a beer and snacks at our modern bar, or gather in the comfortable seating areas to enjoy light bites for lunch and dinner. Big Bay Charters "Miss Marissa"